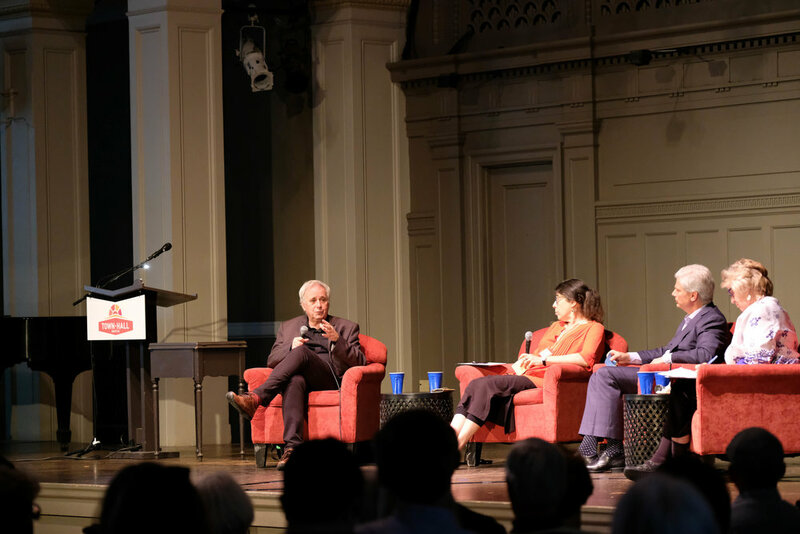 On Monday 22 May 2017, historian Ilan Pappé spoke at Town Hall Seattle in a forum titled "Prospects for Peace in Israel-Palestine." Mr. Pappé, an outspoken critic of Israeli policies towards Palestine and the Palestinians, spoke about the origins of the conflict between Israelis and Palestinians, returning frequently to the role played by what he referred to as settler colonialism. The problem, Mr. Pappé pointed out, is that the settlers - in this case Israelis/Zionists - choose places where other people are already living. According to Mr. Pappé, the settlers then set about dehumanizing the people who are living there in an effort to push them out, either through genocide or ethnic cleansing. Mr. Pappé discussed "positive, noble impulses" behind Zionism: saving Jews from genocide in Europe, finding a safe area, and reconnecting to the Holy Land. But according to Mr. Pappé, it is impossible to also exclude the other impulse - having to get rid of the people who were already living there. Mr. Pappé then explained the development of a decades long political and military strategy for expulsion. Mr. Pappé closed the speaking portion by offering his thoughts on how Israel has succeeded in its policy of settler colonialism. First, people are not familiar with the history. Second, pro-Israel groups have attacked the credentials and reliability of the academics who teach history that runs counter to pro-Israel messaging. Mr. Pappé also mentioned a quotation from Noam Chomsky (paraphrased here): "The key word in Peace Process is not peace, it is process." Mr. Pappé explained that it is the process that has allowed Israel to portray the idea that it is working toward a peaceful solution. After the presentation, Mr. Pappé sat down with panel members for a short discussion before the panel members relayed written questions for Mr. Pappé from the audience. The questions touched on issues such as water rights, the Boycott Divestment and Sanctions efforts, and the possibility that President Donald Trump could bring something new to the issue.